Woo Hoo! It's Friday and you know what that means! 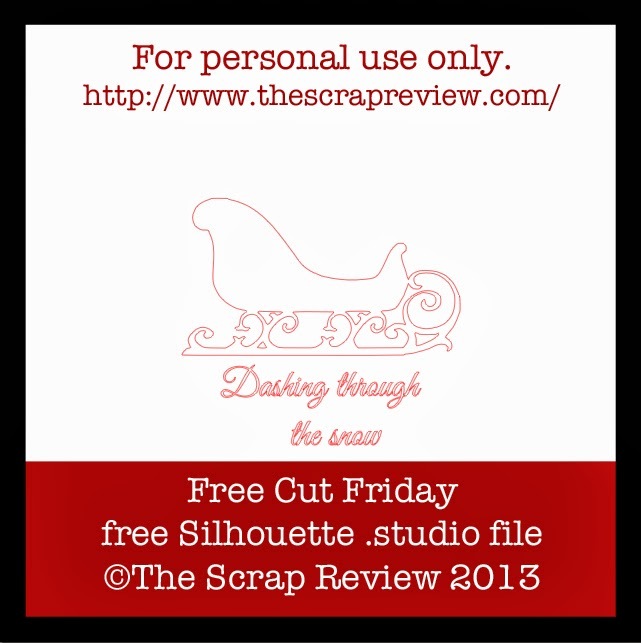 Free Cut Friday! Today's cut file was created by Ashley Harris. So here you go! You can download the cut file HERE. Enjoy! Have a happy Friday!! Thanks Ashley, I love it! Thanks for the cut file! Love the detail on the sleigh. Thank you so much for the free files. This is such a wonderful, detailed design! Thanks so much for sharing!